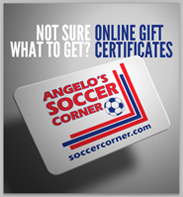 To find the right gift for your soccer fan loved one can come down to the specific team, player, or brand. If they have a favorite player like Cristiano Ronaldo, Leo Messi, Thomas Muller, or another, you can get them a Hero Jersey. If they are a fan of a specific team like Manchester United, Arsenal, Barcelona, or Real Madrid, you can get them the new club replica. To find something small to complete your shopping, check out the products below to get that great gift under $30. Get the soccer fan in your house the best gift for Christmas, birthday, or any other occasion. Searching for the perfect gift shouldn't drive you crazy. Check out our selection of products under $30 to help you finish your shopping. Whether they are new to soccer or are a life long fan, there is something for everyone. From scarfs to hats to shinguards, you can stuff it in a stocking, or wrap it for under the tree. Need something bigger? Some of the best gifts are Soccer Jerseys with a player's name on it. From Cristiano Ronaldo to Leo Messi to Angel Di Maria, every soccer fan has a favorite player that they keep tabs on every game. Help they show off their club team pride with their own jersey. Or you can get them the latest soccer boots from Nike or Adidas. The Nike Superfly has been the hottest shoe around and the redesigned Adidas 11Pro is an instant winner for those players who like the classic design. 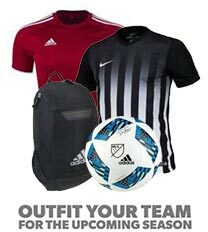 Get what you are looking for now at SoccerCorner.com!